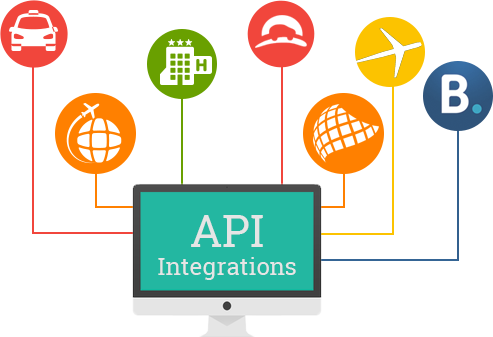 We provide complete API integration between your custom software and also provide modules to expand them. We also provide standard API support to your custom software and make them much more robust and better in operation and manageability. The allowance and processes to give programs access to connect and essentially, communicate with other programs. Their APIs are their languages. It's a software-to-software interface that allow for separate parties to talk to each other without any previous user knowledge or intervention. It runs the processes behind the scenes. For example: Many online stores use these to allow you to enter your credit card information, and then the store uses the API to send the information to a remote application that will verify whether or not the information is correct. API and the adjoining services are invisible to site users and software users. Their jobs run in the background providing a way for applications to work simultaneously. There are several different programming languages, protocols and standards that make these services work. This is what is responsibile for encoding XML messages so that they are received and understood by an operating system over any type of network protocol. An architechtural style of a coordinated constraints applied to components, connectors, and data elements. It ignores the details of component implementation and protocol syntax so that it may focus on the roles of components, their interaction and constraints with other components, and their interpretation of data elements. This is considered as an alternative to SOAP. Stormpath makes the entire user portion of your project dead simple: store users (and user data) securely, handle user permissions, handle all the email verification / password reset stuff instantly. Great API for building out custom analytics. CDN + DDoS protection! It’s what we use here at Stormpath. My favorite CDN. Amazing API. Very fast. Super customizable. Makes your website fast — really fast. A great customer CRM. Really easy, handles all sorts of customer communication channels — so amazing. I love these guys. Beautiful design. Straightforward API. Makes visualizing your project data simple. Nice dashboard, great design. Great API. Better for geolocation stuff, in my opinion. The best PostgreSQL hosting service ever created. Period. Our favorite MongoDB database provider. Our favorite Redis provider. I’ve been using them forever — they’ve never gone down, or lost any data. Furthermore, they make scaling your stuff incredibly easy. My absolute favorite hosting company. up-and-coming Heroku competitor (built on top of Docker). It looks very promising if Heroku isn’t your thing. Send email via their API — easily. If you don’t have New Relic in your app — New Relic is 100% critical to building any modern application. It gives you the absolute best performance / monitoring information humanly possible. Debug API services. Monitor API services. Really valuable tool. Best damn credit card processor out there. Powerful API to store and sync data in realtime. Great API that makes web sockets easy. Can’t beat Amazon S3 for file storage / streaming. It’s the best. Make phone calls and SMS messages easily. At Softcruise, we provide software-led IT solutions, design and deliver technology-enabled business solutions that help companies grow faster.